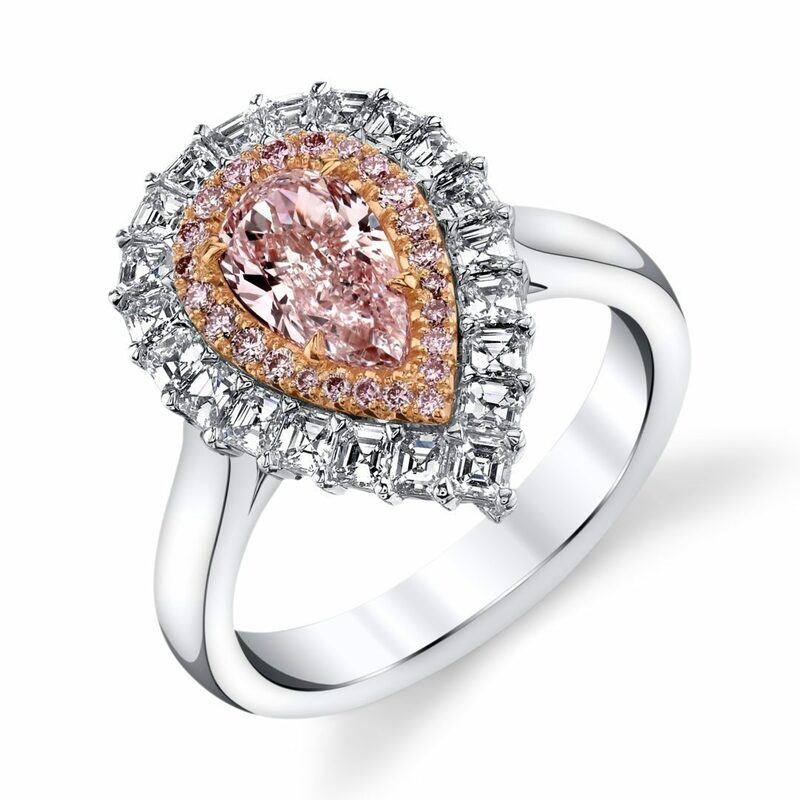 A special magic inherent in the very rare and valuable Fancy Diamonds, which exist in all colors of the Rainbow. 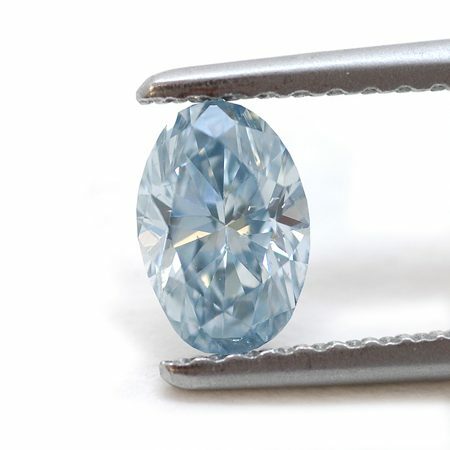 Only diamonds, whose tinting is intensive enough, may bear the name of fancy (failed, extravagant) and this criterion applies only to a Diamond under 10,000. The distinctive colouring of each gem, which makes him unique is fascinating. 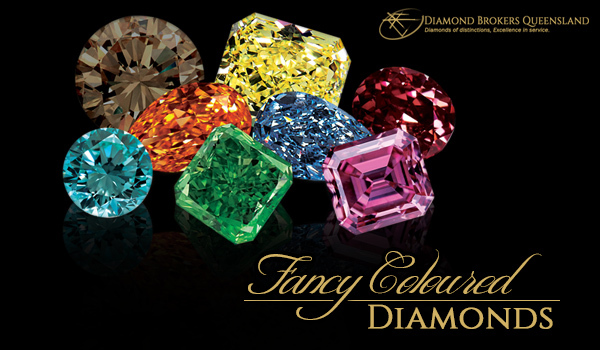 The color is the most important quality factor for fancy diamonds. What color is the best? This can not answer in the limitless number of gorgeous shades, but remains a matter of personal preference. Colors such as red, blue, or pink are very precious because of their rarity, there are many beautiful shades, to whom less attention. 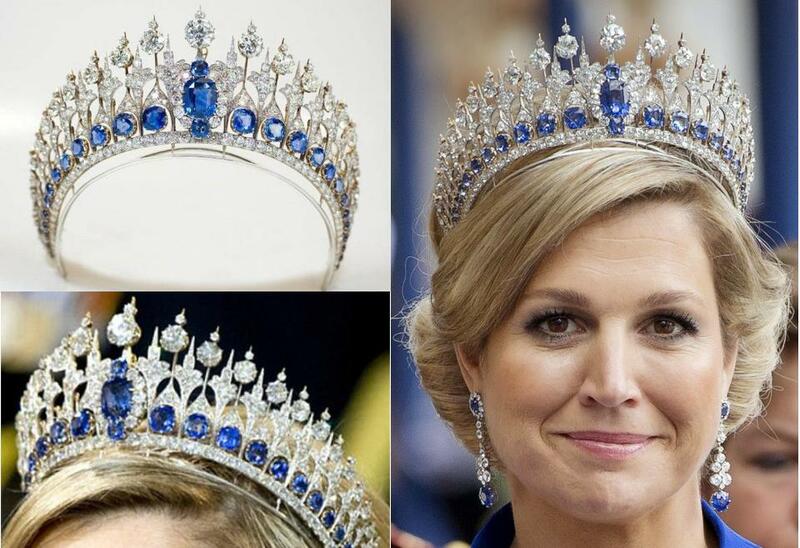 So, diamonds with Nebentönen are generally cheaper than those in pure colors, although they are very beautiful. 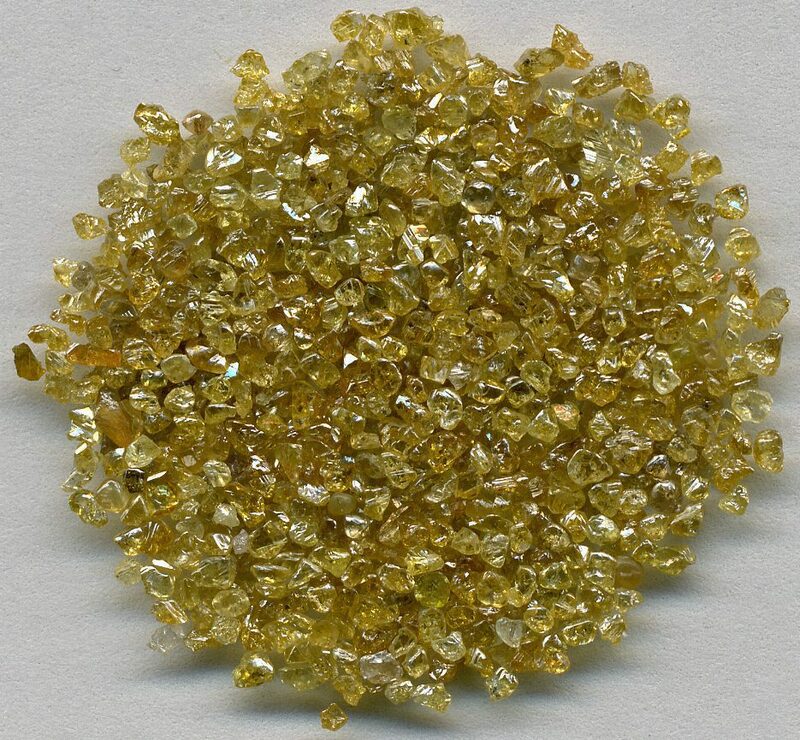 The value of Fancy diamonds is the higher, the more intensive the color and it is ever more evenly distributed. Already, a minimal difference in the intensity of the colour has a great influence on the price. Color terminology developed by GIA considered, alongside the hue the color brightness and color intensity. Starting with the bright and pale Fancy Light it ranges to the intense and dark Fancy Deep. 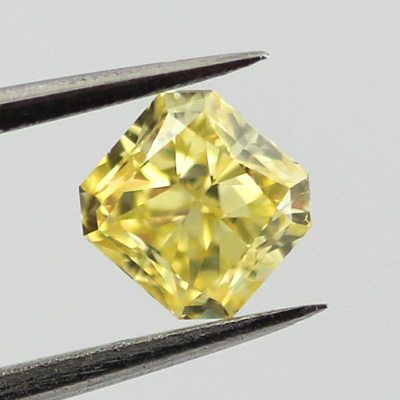 The highest value estimate is given diamond of level Fancy Intense and Fancy Vivid , characterized by average color brightness and high color intensity. 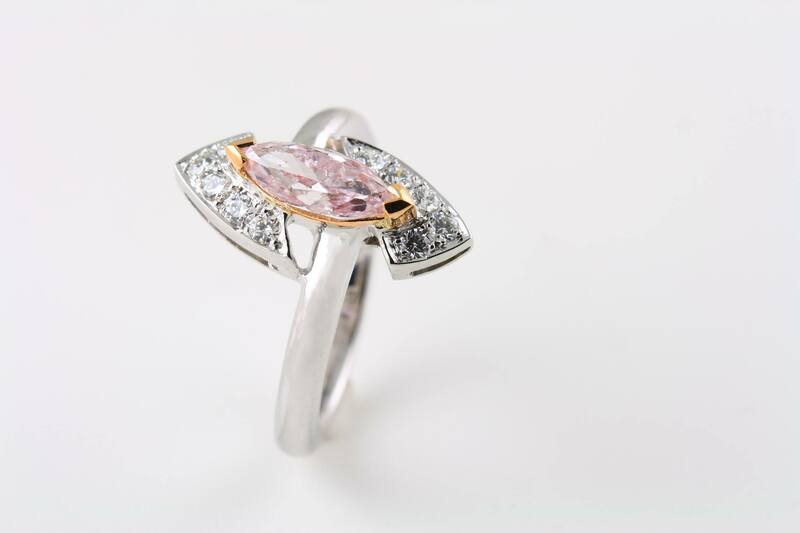 The cut is used to give maximum brilliance, sparkle and brilliance to a Fancy Diamond. First and foremost, it comes out to bring the color of the diamond light of day. The grinder is attempting to edit it, so that the color distribution of harmonious and the color in the view of the Panel is as intense. 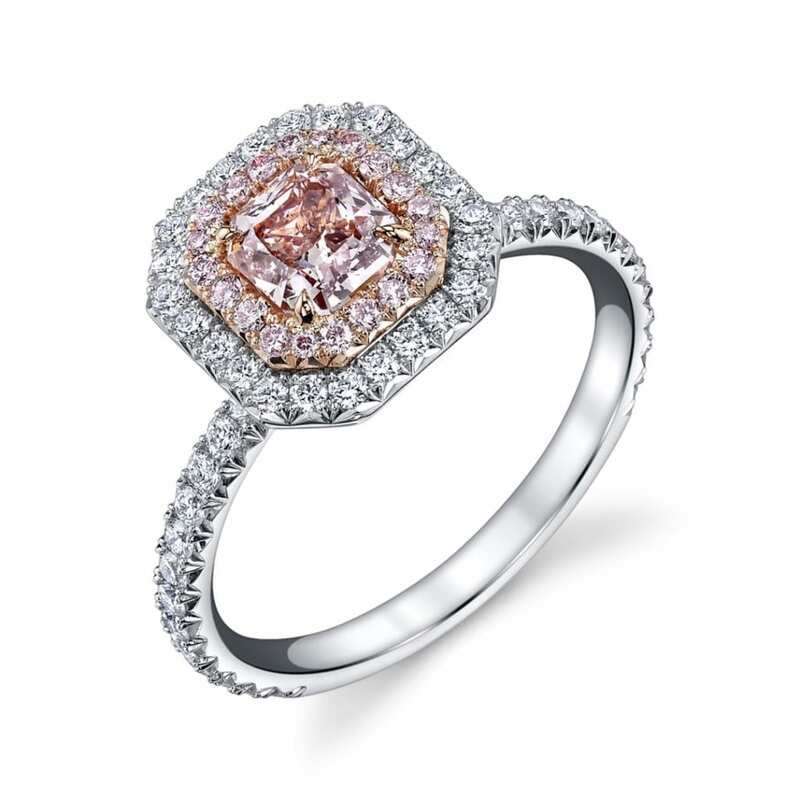 Some forms of touch, such as the radiant cut or the cushion cut suitable for this particularly well. 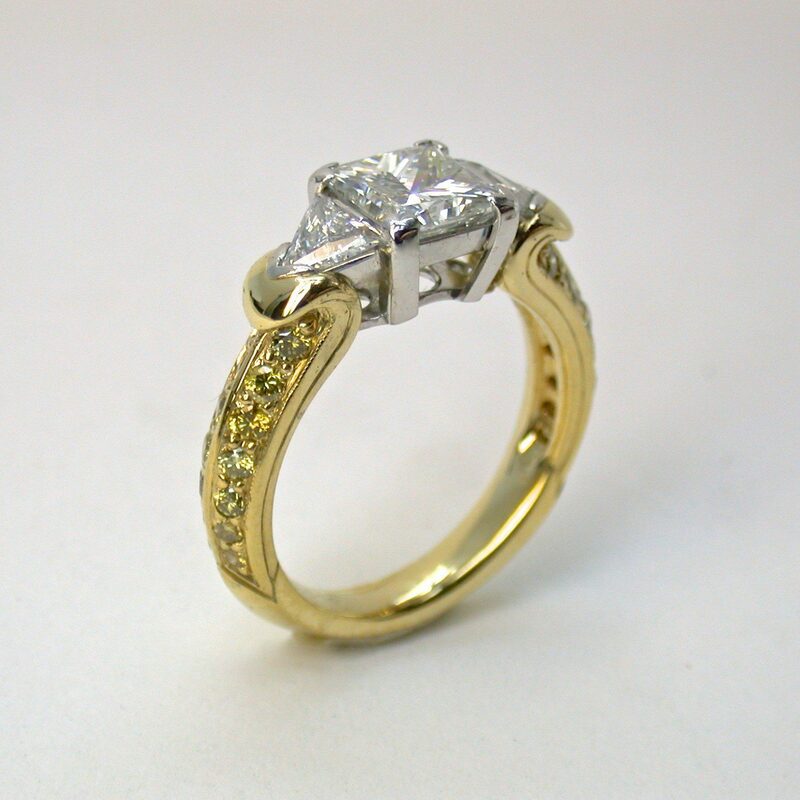 Fancy diamonds are rarer and more expensive in the brilliant cut, princess cut, or Emerald cut. These forms that make it difficult to highlight the color. 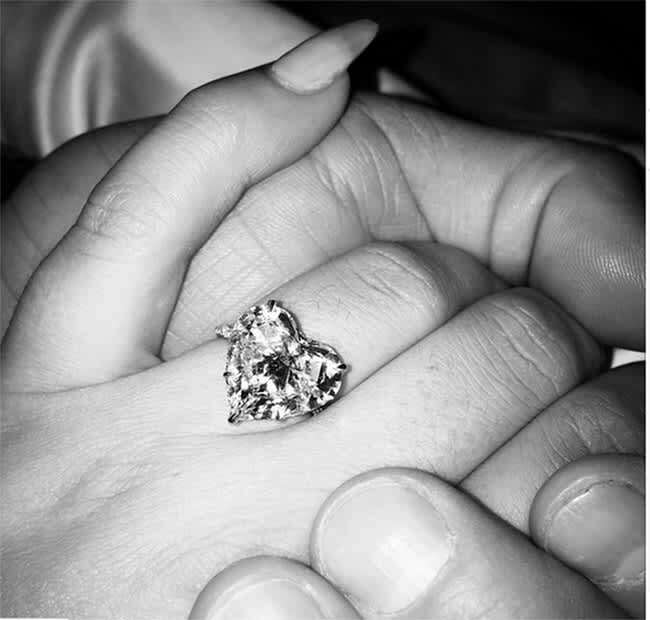 Shy not away from choosing a diamond, whose grinding is not excellent, but very good or good . Usually ideal proportions did not in this case in favor of a more beautiful colour effect. 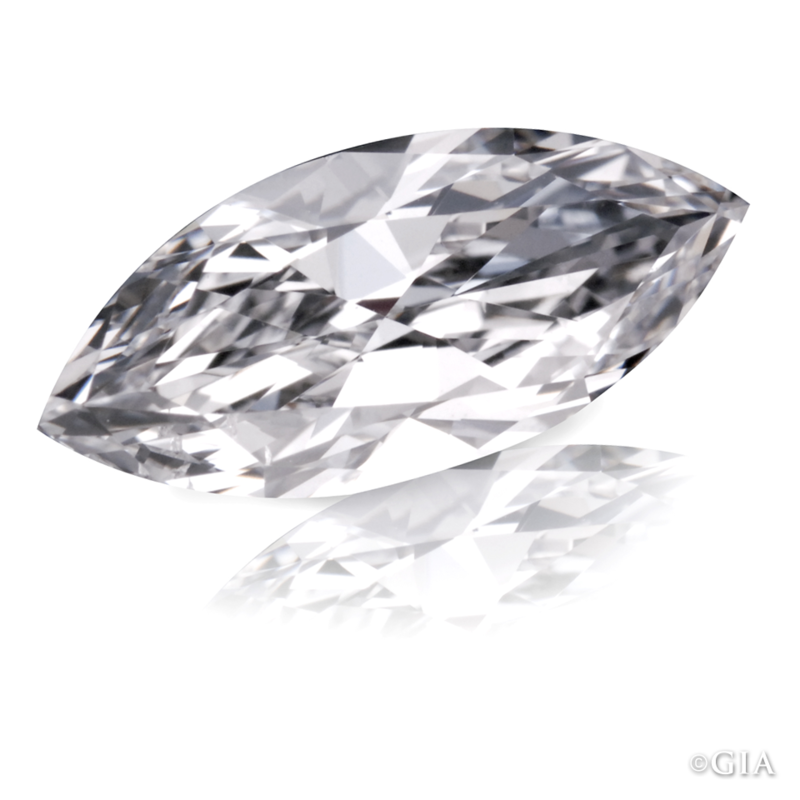 Of course, the purity has influence on the quality of a Fancy diamonds, but significantly less than when colorless diamonds. The purity is more than minor importance compared to the intensity of the colour. 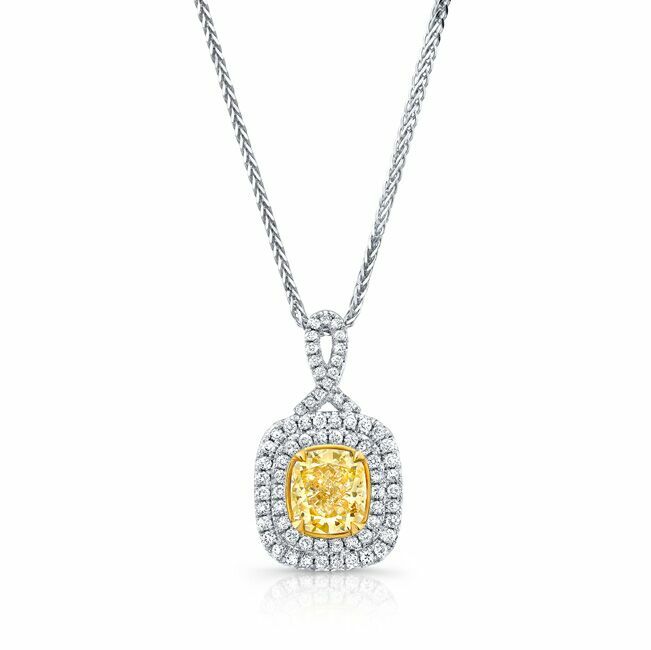 Nevertheless, significant inclusions and blemishes which are visible to the naked eye, can tarnish the beauty of colored diamonds. Some diamonds emit light under the action of UV radiation, what is known as fluorescence . 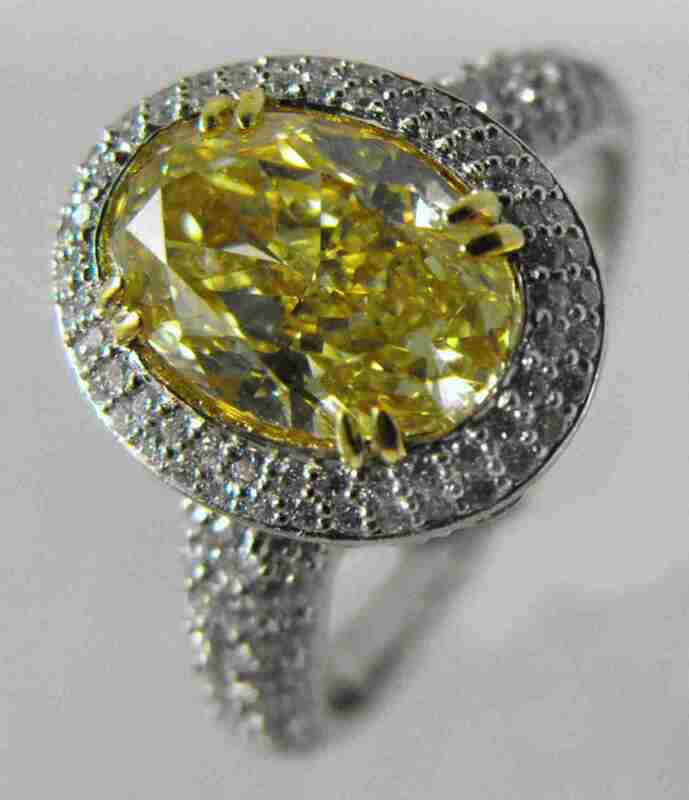 This improves the brilliance in fancy diamonds and beautiful color effects can cause. If you’re buying a diamond with fluorescence into account, check the best, to what extent they influenced the color effect. 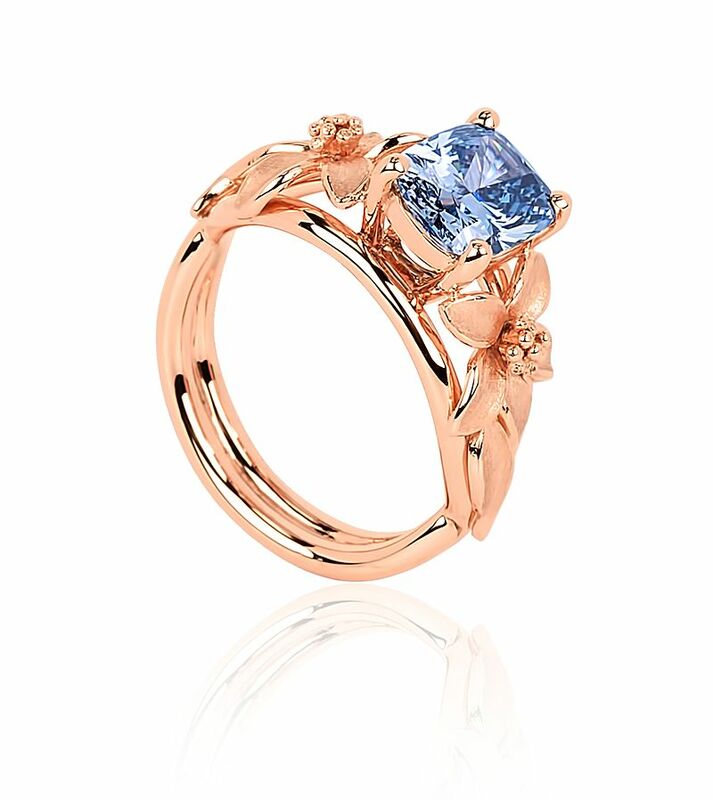 Listen to your feeling when you are looking for a Fancy Diamond for a piece of jewelry. What shape and colour blends with your taste and your personality? Set priorities. Take E.g. 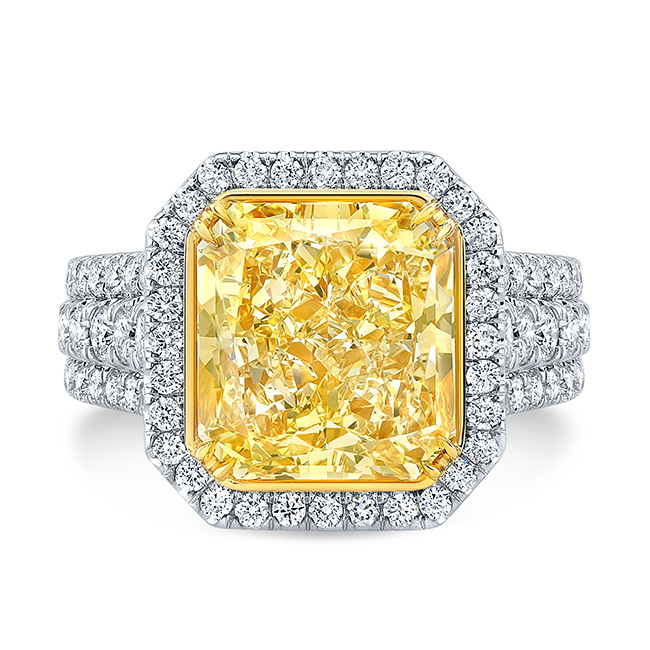 smears in the carat size in favor of a more intense color in purchase. 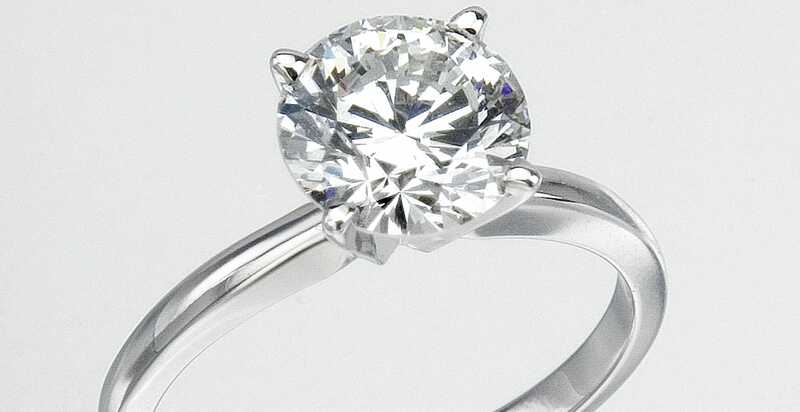 A small, enchanting sparkling diamond can be much nicer than a larger one in a less attractive color. 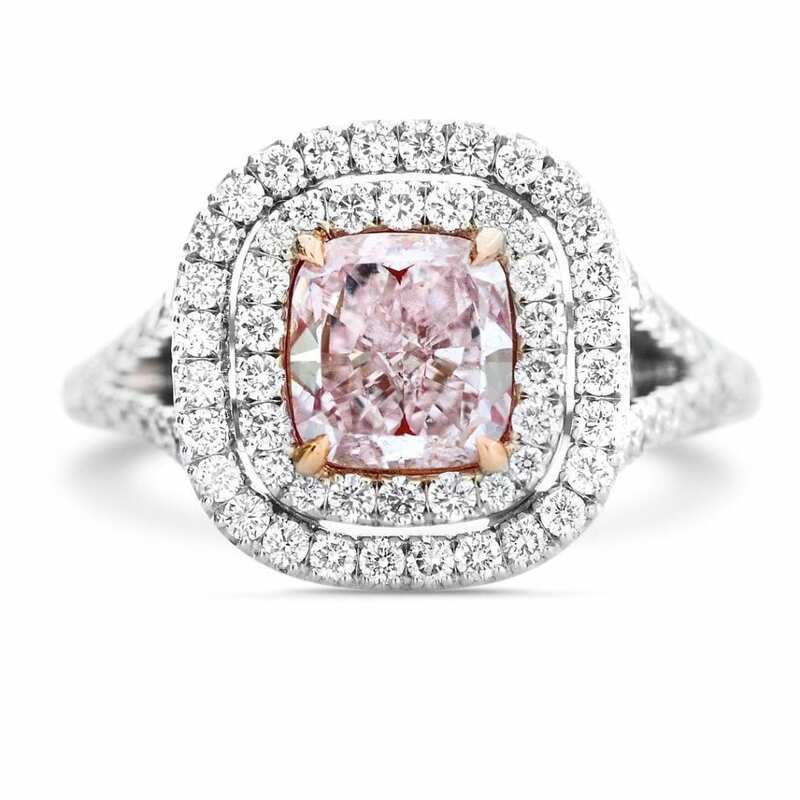 If it matters to you but above all on the carat size and you have a limited budget, you can opt for a lighter shade. Modern technologies allow you to produce colored diamonds in artificial way or starting from real diamonds with unattractive coloration. 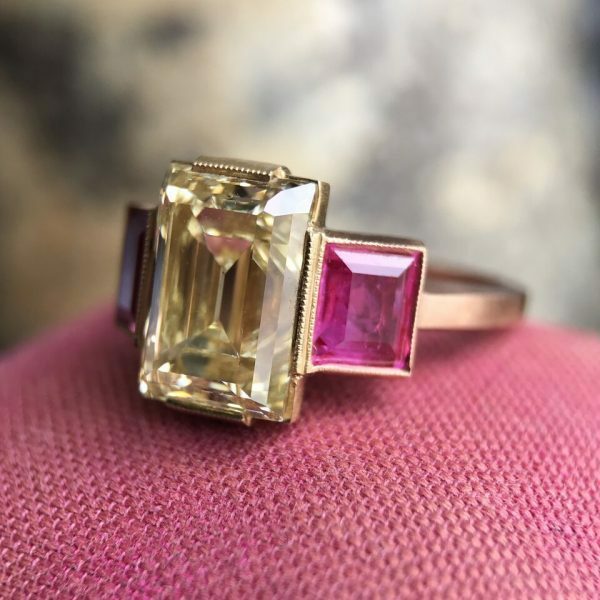 In return for these synthetic gems, a real Fancy Diamond is a natural product that has come about in the course of millions of years of lasting formation of crystals. 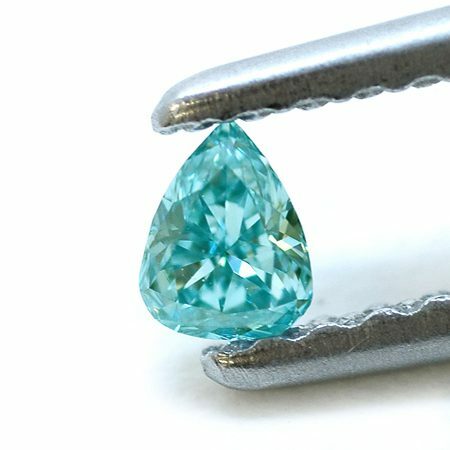 No diamond is similar to one another in color and appearance of 1:1 and this uniqueness contributes significantly to the high value. 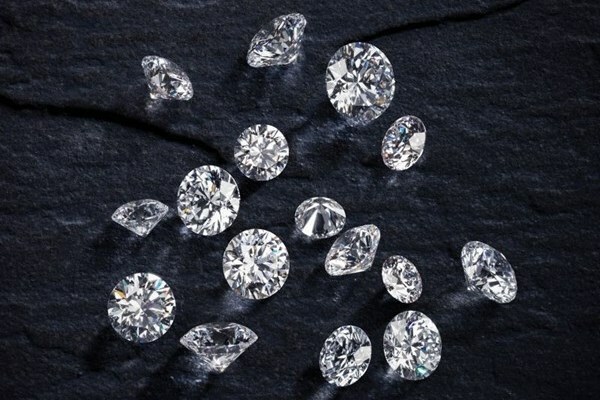 A natural Fancy Diamond is like a genuine work of art, on the other hand a treated diamond as a copy that is not nearly enough closer in value to the original. Purchase Fancy Diamonds only from a dealer who you deem trustworthy and process respects the strict guidelines of the Kimberley. 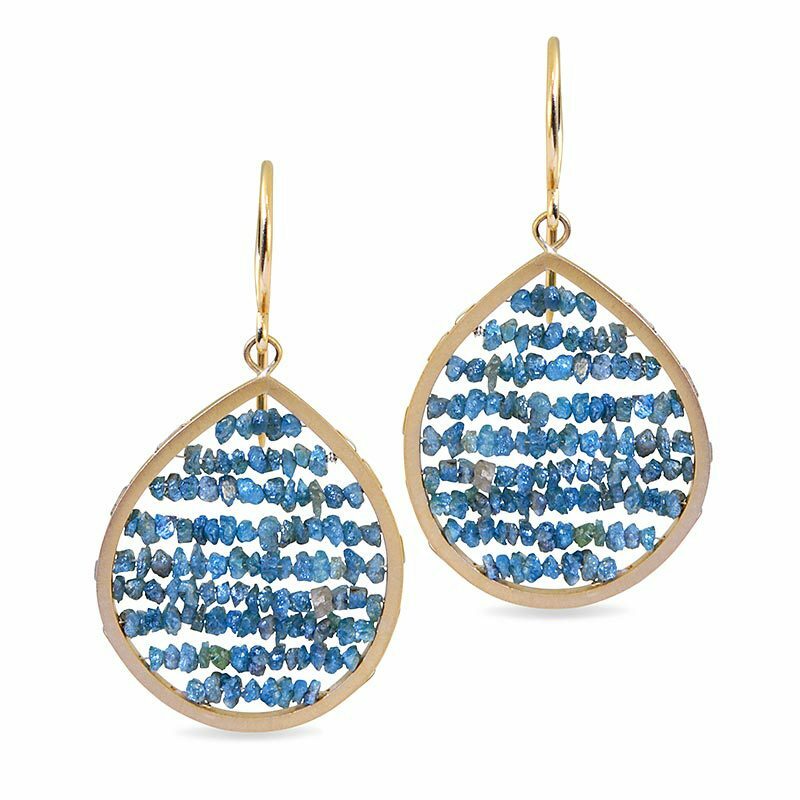 These ensure that the gemstones are guaranteed conflict-free diamonds. Contact for a certificate for your diamonds, which was created by a renowned test Institute the GIA, HRD, IGI . This offers you the guarantee that the information provided by the seller with the truth. 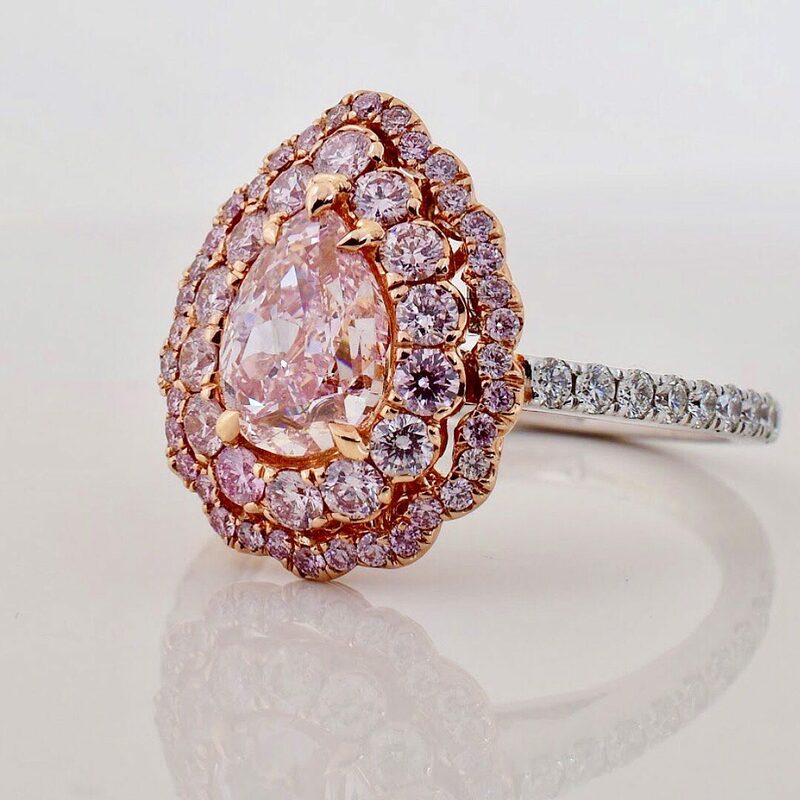 At RenéSim you will find a wide selection of high quality fancy diamonds in all colors, shapes and sizes: colored diamonds by RenéSim. Of course, you get the gems with an independent certificate. Contact our support team if you have any questions or would like a consultation.